In order to install gimp brushes in Photoshop open Internet Explorer. Go to “deviantart.com”. Type “Photoshop brushes” and click “Search Art”. Find brushes you want to download, for example “Lightning Brushes”, click on them. In the next window you can see that these brushes can be used with Photoshop and GIMP as well. 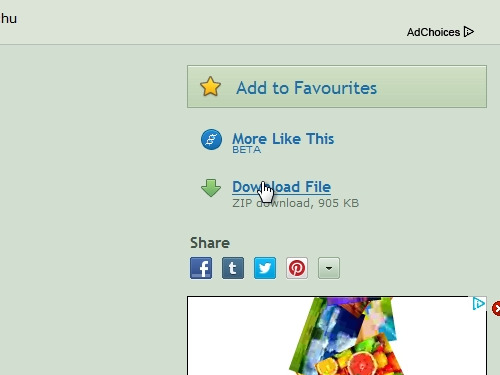 Click on “Download file”. Save the file on your hard drive. After the download is complete, open the folder with the downloaded file. Double-click on the file. In the next window you will see the file. Right-click and “copy” it. Paste the file into any folder. Now, launch “Photoshop”. Click on the “Brush” icon. 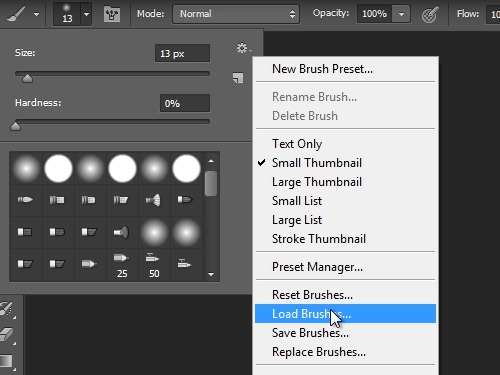 Then click on the icon that resizes the brush and right-click on this little icon and choose “load brushes”. Go to the folder where the brush file is located. Select it and click on “Load” button. Now you can see the newly added brushes in the brush selection window.